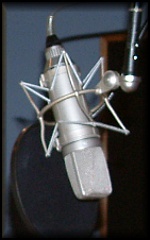 Classic Recording proudly offers one of the most comfortable recording facilities in the Nashville area. Classic is conveniently located in the Cool Springs area off I-65 at Moore's Lane West (exit 69) between Brentwood and Franklin, TN. PLEASE NOTE: All rates are without engineer. Engineers are on a per quote basis. The DAY RATE is for a 12 hour block of time. After 12 hours a $65 per hour charge will be added. When the DAY RATE is booked, the minium billed for that day will be the applicable DAY RATE. A 50% deposit may be required at time of booking. Cancellations must be made at least 72 hours in advance of session or a $350 cancellation fee will be billed. Payment in full is due upon services rendered. Master tapes will be held until payment is received in full.